Dr. Alex Te-Loo from Mount Sheridan Medical Practice discusses important health checks for women in their 30s. Hi. My name is Dr. Alex Te-Loo and I’m a GP at Mount Sheridan Medical Practice. Today we’re going to speak to you about what’s involved for a women’s health check in their 30s. We always like to discuss something called SNAP, which regards smoking, nutrition, alcohol intake and physical activity. Ideally, you shouldn’t be smoking at all. Your nutrition should include a mix of vegetables and fruit daily. Your alcohol should not exceed two standard drinks daily, ideally with a break once a week. Your physical activity should include at least 30 minutes of moderate exercise per day. We try to review SNAP at every health check and as regularly as possible. With the recent changes in the national pap smear guidelines, you will now be getting a cervical screening test from the ages of 25. STI screening is also recommended and it is worth noting that most contraceptives won’t protect you from STIs. Contraception is a very important part of a women’s health check. There are many different options and this should be discussed further with your GP. If you are considering starting a family, it is worth discussing pregnancy planning with your GP. We usually like to discuss things like lifestyle factors, starting pregnancy multivitamins, checking your bloods and discussing possible vaccinations that might be needed. Living in tropical Australia, it is very important that you use sun protection and consider having yearly skin checks. It’s important to remember that the health checks we have just discussed are general outlines and not specific to individual patients. Your GP may discuss further recommendations that may be necessary for you. If you have any family history of note or any other particular concerns, this can be discussed with your GP when you are reviewed. If you would like to book a women’s health check, click the button below. 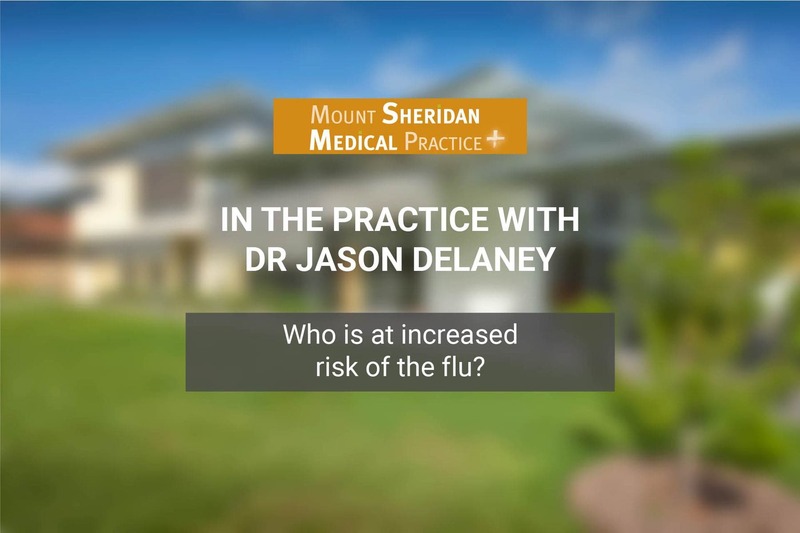 Who is at increased risk of the flu?